Is anyone here currently looking for smart contracts development firm? Or maybe you know someone who does? Our team is beta-testing a new platform that helps find pre-screened vendors that deliver. We provide detailed info on every vendor, eliminate irrelevant pitches, pre-screen vendors to filter scam. We save weeks looking for the right firm to work with. Disclaimer: we are not a blockchain development firm and not promoting our development services. Exclusive insights and advices by Polymath, Securrency, Prime Trust and others. Wow! We start the new year with good news! LUKRUM secure crypto tracker is officially launched and available in App Store. We’re constantly working to put the best cryptocurrency tracker into your hands and our LUKRUM V1.1.0 continues our commitment. Glad to announce the global launch! 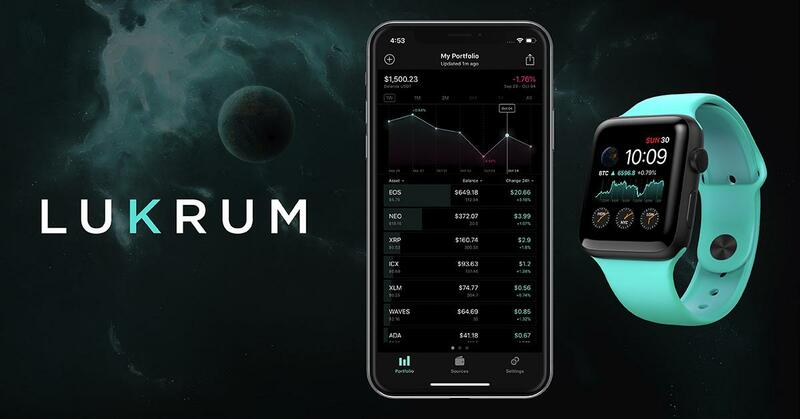 The LUKRUM app allows auto-sync with all of your exchange accounts & blockchain wallets, and gives you access to real-time prices, the latest market charts, and advanced crypto portfolio analytics based on market benchmarks to help you make the right decisions. 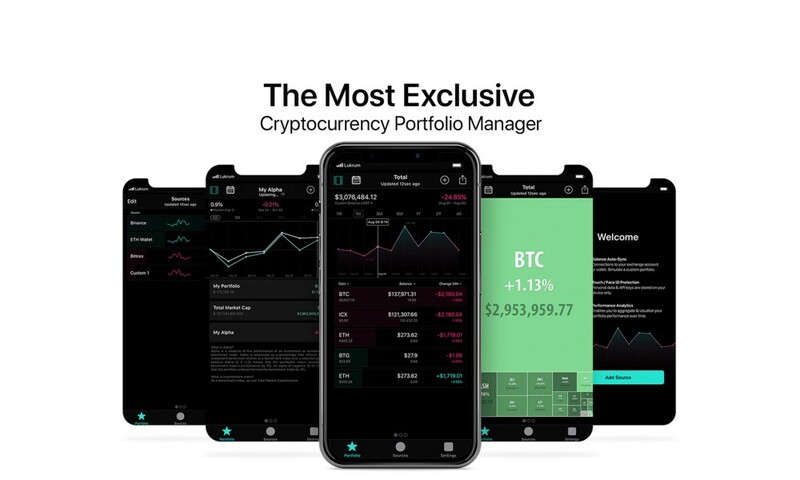 LUKRUM is the most exclusive cryptocurrency portfolio app. Take control and manage all your cryptocurrency in one place, including Bitcoin, Ethereum, Litecoin, Ripple, EOS and other altcoins. Start to use the free & secure application to get cross-portfolio analysis & gain insights on the most profitable strategies. Connections to your exchange account or wallet. Simulate a custom portfolio. Your personal data & API keys are stored on your device only. Access protection supports Touch ID and Face ID. Enables you to aggregate & visualize your portfolio performance over time. I would like to introduce a new app to help you track EOS tokens. EOS Portfolio provides a quick, easy, and fun way to track EOS tokens & airdrops. EOSportfolio is the best free EOS balance portfolio manager app. Users take control and manage all accounts in one place. They can customize the app to monitor your personal portfolio. The application is absolutely free & secure. Have your portfolio tracker in your pocket, anywhere & anytime. Even on a fast-moving day, you can update with just a swipe. You can monitor EOS coins in your account, track how many tokens are allocated as staked & unstaked, check RAM, CPU & NET resources allocation. Sync multiple accounts automatically in one tap. Just swipe to refresh the status of your portfolio. A complete analytics dashboard gives you valuable insights into your portfolio(s) such as the location of your coins, fees breakdown, most used exchanges and more. It's simple, fast, and easy to view the transaction history of your account. You can easily check the quantity of tokens received from a number of air drops. Track the most-ranked token accounts, including EOS, PUB, IQ, BLACK, KARMA, CHL, CET, HORUS, ADD, EDNA, EOSDAC and many others. EOS portfolio is Free and will be available in the coming weeks, our website (https://eosportfolio.io/). We’d glad to hear from you any feedback or comments which improve the app & make your life easy. So feel free to get in touch via any of the channels below, which includes Telegram, Twitter & Facebook.